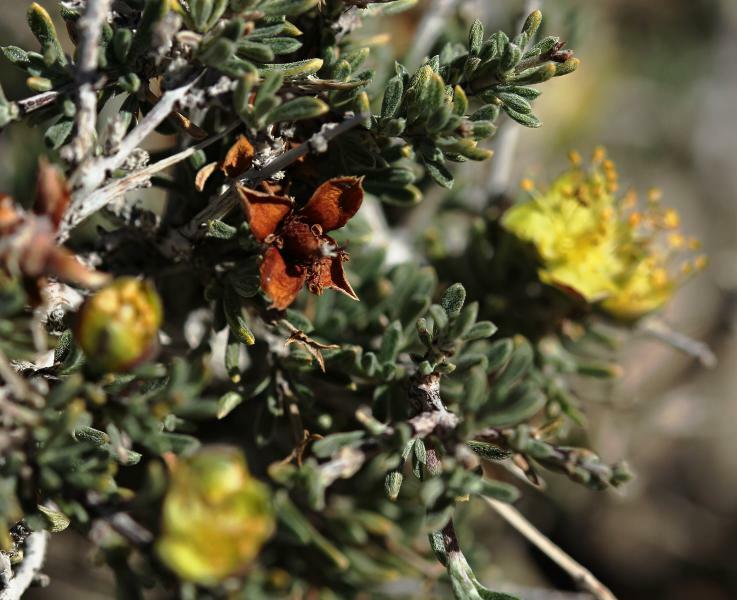 This deciduous shrub or small tree has curved thorns on its stems. The grey-green leaves are made up of many small leaflets. The flowers are arranged in inflorescences made up of many small light yellow flowers. Inflorescences tend to be longer than the leaves and clustered with leaves on short-shoots. The fruit is a brown pod between 5 and 15 centimeters long. It can be curved, twisted, or flat in shape, narrowing between the seeds. 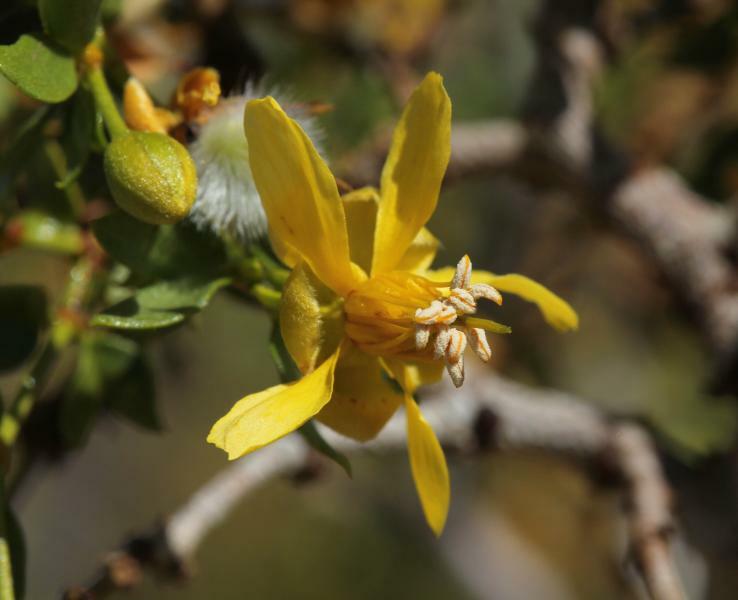 Creosote bush (Larrea tridentata) is a drought tolerant, evergreen shrub that grows up to 12 feet tall. The stems are generally flexible, and the waxy small leaves are dark green and very resinous. After rainfall, these leaves emit a characteristic strong odor. Honey mesquite (Prosopis glandulosa) is a deciduous, thorny, nitrogen-fixing large shrub or medium-sized tree. It grows between 1.5 to 35 feet tall. The greenish-white to yellowish-white flowers develop simultaneously with the leaves. These flowers are grouped tightly on elongated spikes that are showy and droopy. Joshua Tree (Yucca brevifolia) is a monocot in the Lily family (Liliaceae). 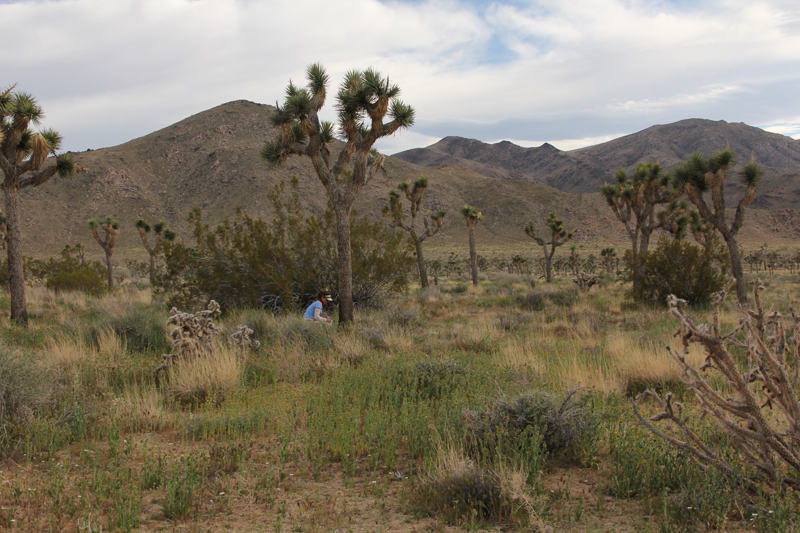 Joshua Tree got its common name from Mormons, who thought the outstretched branches resembled Joshua in prayer. It is thought that the Shasta ground sloth was the primary disperser of Joshua Tree fruits before they went extinct. 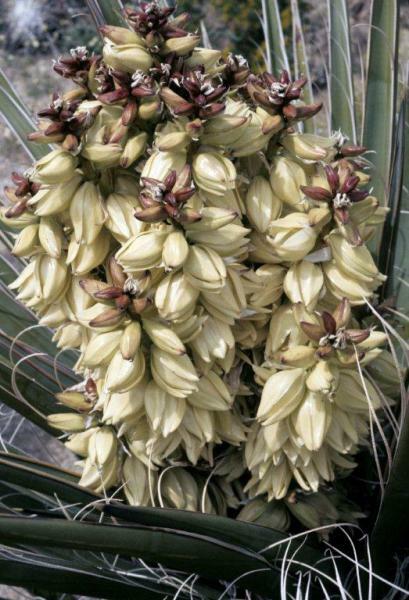 Yucca schidigera is an evergreen plant that grows up to 5 meteres tall with a grayish-brown trunk. Its leaves are long, pointy, and very rigid, with coars fibers along the leaf margins. The leaves are arranged in a spiral on top of the basal trunk. 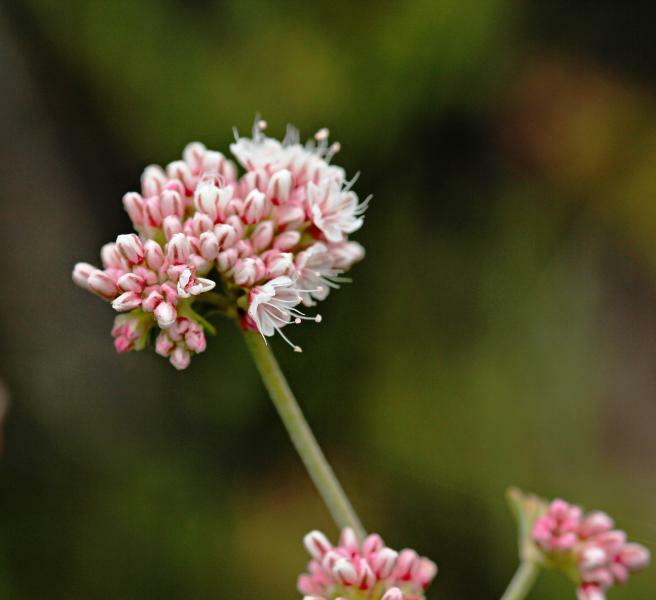 The flowers are 3 to 5 centimeters long, white, and bell-shaped. They are arranged in dense clusters at the end of a central stalk.